Safety salt you can see! Every year, from both local authority and commercial properties alike, there are numerous instances of theft from grit bins and stockpiles. 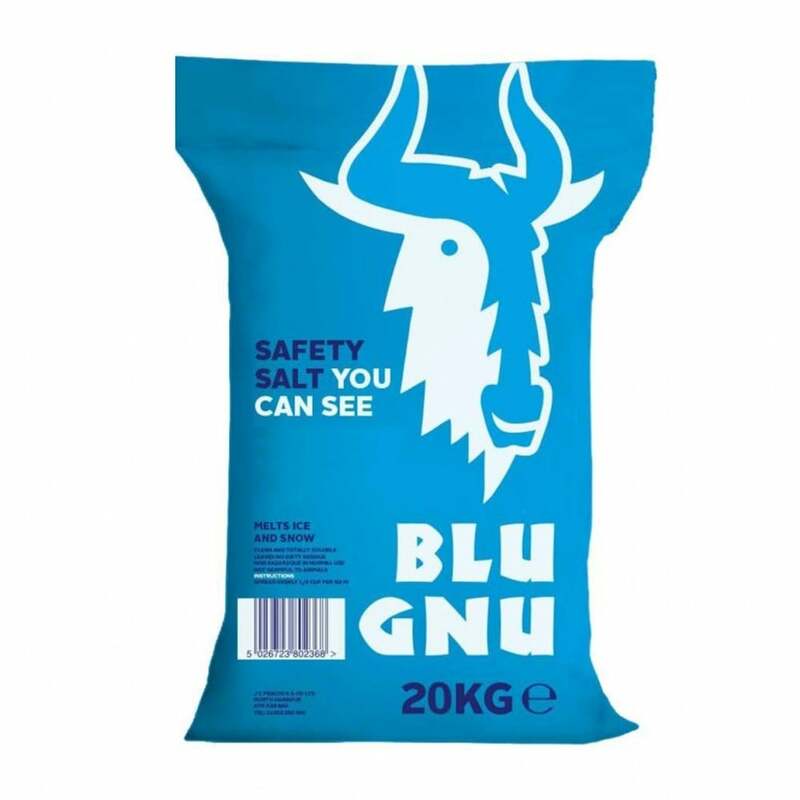 Blu Gnu is coloured to reduce the occurrences of this asset migration as any unauthorised use will we immediately visible. Innovative de-icing salt for use on pavements and car parks. Water soluble, UV degradable and non-staining so will wash away in water/rain. Anything not washed away by rainfall will eventually fade to nothing – which will be a great indicator for any residual salt that is still on the road/pavement surface. Blue colourant makes it easier to see rates of application, enabling you to better judge the amount of salt used. 63kg is only available for customers who have forklift truck offloading facility.